Two former captains, Marithy Pienaar and Veroeshka Grain, are among a group of five players who have decided to call it a day on their Springbok Women’s Sevens careers after several seasons of service in the Green and Gold. Chane Stadler, Megan Comley and Nomsa Mokwai are the other players who have stepped out of the Springbok Women’s Sevens programme following a season where the team played at the Commonwealth Games in Australia and the Rugby World Cup Sevens in the USA. Pienaar, who last captained South Africa at the Emirates Dubai Sevens International Invitational in November 2018, has taken up a rugby coaching role with Caylix Sports, while Grain has retired from international sevens rugby. Pienaar played 42 matches for South Africa in the HSBC World Rugby Women’s Sevens Series and also represented the country at the Rugby World Cup Sevens tournament in San Francisco in 2018. Grain played 39 matches for her country in the World Series, and represented South Africa at the Rugby World Cup Sevens in Moscow in 2013 and the 15-a-side Women’s Rugby World Cup in France in 2014. Her last appearance for the Springbok Women’s Sevens was at the Commonwealth Games in April last year. Springbok Women’s Sevens coach, Paul Delport, hailed Pienaar and Grain’s contributions to the team. “It will be difficult to replace them, as they have lots of experience on the world stage and have been very influential in our team dynamics and leadership. 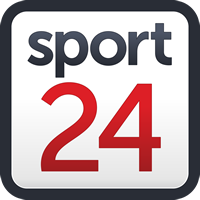 But nothing in sport is permanent and we accept their decisions,” said Delport. Commenting on the decisions of Stadler, Comley and Mokwai to also bid farewell to sevens, Delport said: “It is never nice to lose players that were part of the system, but this will hand opportunities to new players to show that they have the skill and desire to play for us. “It is a pity that we will be without a couple of players who have changed direction in their careers, just as we had to change our vision and approach after not qualifying for the World Series. The Springbok Women’s Sevens team will not travel to Hong Kong for the World Series Qualifier this year, and will play in invitational tournaments in Spain and France in May instead. “We have contracted a core group that can take us forward, and I am happy with the quality and potential of those players,” Delport said. “We are inviting new players to join on short stints on a regular basis, and we recently had a good camp with players from our national touch rugby team. Women’s Sevens contracted group: Zintle Mpupha, Nadine Roos, Eloise Webb, Christelene Steinhobel, Rights Makari, Buhle Sonamzi, Zenay Jordaan, Mathrin Simmers.